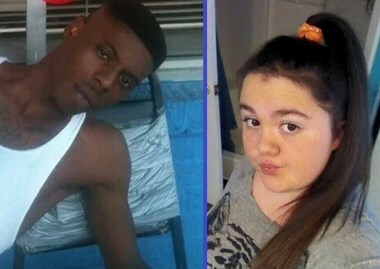 JACKSON, Mississippi — Jackson police have captured a man wanted in the possible abduction of a 17-year-old girl. Jackson Police Department spokeswoman Colendula Green says officers captured 19-year-old Dewayne Thomas about 5:45 p.m. Sunday. She said charges would be filed, but she didn’t immediately say what they would be. The Mississippi Highway Patrol issued an Amber Alert on Sunday night to report that Katelyn Beard had been missing since that morning. The alert said she was last seen with Thompson. Jackson police said in a news release that Beard was shot before she was taken away. Thomas was found near the spot where officers hours earlier had found the 2009 Nissan Altima that belonged to the missing girl. The car was found less than a mile from where Beard was reported taken. Jackson Police Department spokeswoman Colendula Green says officers continue searching the area where the 2009 Nissan Altima was found Monday morning in west Jackson, near Hawkins Field airport. The car has a Greene County license plate. Jackson police said in a news release Sunday that Beard was shot before she was taken away.